Join our 2018 winter team challenge! 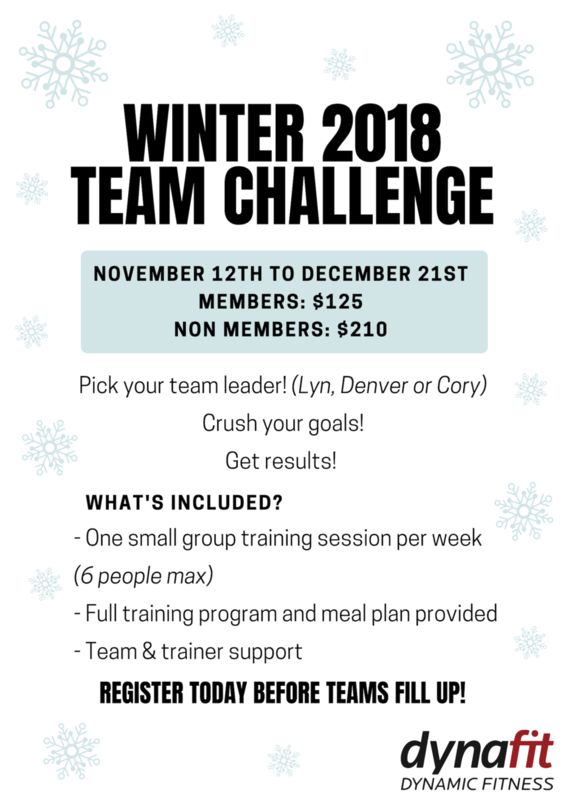 Not only will the challenge help keep you motivated, but you will also get trainer accountability, workout and meal plans, and awesome teams to crush your goals with! - Attend our weekly PT sessions, follow your program and get results! If you would like to be added onto the wait list for Team Lyn, please email: vietchruns@gmail.com! Are you a current dynafit member? Please list any injuries, past or present.